For decades I’ve admired and slightly resented those Woody Allen characters who have time to seek out screenings of classic films in elegant arthouse cinemas. Last Friday, I became one when me and @acghunter watched Ossie Davis’s gaudy adaptation of Chester Himes’ Cotton Comes to Harlem at the Regent Street Cinema. 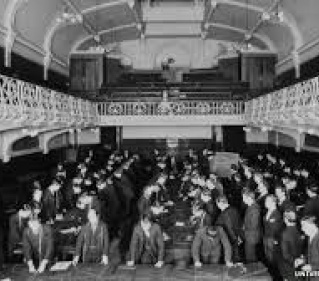 This steep-raked, high-screened, dramatically vaulted palace of film was used by the Lumiere brothers to demonstrate their Cinematographe machine in 1898, though the building itself dates from 1846, and it oozes a similar historic vibe to the BBC Radio Theatre at Broadcasting House. A beautiful cinema can lift even an indifferent film. Next time I’ll go the full Woody and have a martini. Ironic that an exhibition about Crossrail doesn’t feel that well connected. True, this about artefacts found in the excavation of the Elizabeth line – Victorian chamber pots, Roman coins, plague skeletons, a mammoth bone – but the scale of the enterprise is only expressed in a film fly-through of the tunnel by a drone. 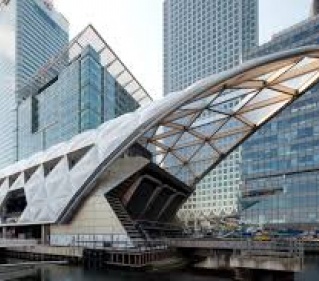 It wouldn’t have been worth the trip if hacks (no one else, sorry) hadn’t also been shown the new Canary Wharf platform, 250m long and arrow-straight, to take trains holding 1,500 people. Apparently all the platforms are straight except one at Tottenham Court Road, which swerves the foundations of St Patrick’s in Soho Square. 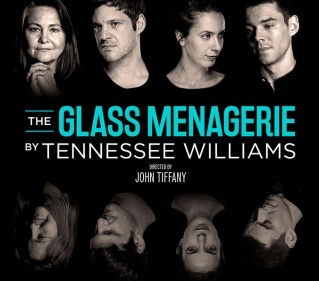 Although this John Tiffany production is very good, I still find Tennessee Williams at his most anguished and self-exposing deeply, well, embarrassing. Here, a thinly-veiled version of the playwright’s mentally and physically frail sister is strapped to the engine of play and remorselessly crushed, pushed towards unrealisable hopes by her desperately cheerful mother. 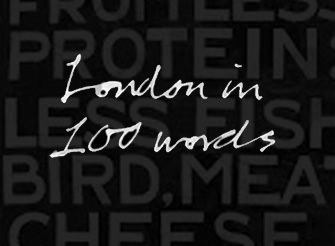 There’s something sadistic about the reinforcement of the family’s doomed behavioural tropes, and the merciless repetition, and it’s a humblebrag indeed that the writer character is a weak wastrel, but still nicknamed ‘Shakespeare’. Cherry Jones is terrific as the mother, and Kate O’Flynn does well with the impossible role of Laura, but sorry, this leaves me cold. My former colleague Victor Sebestyen, now a feted historian, said the RA had gathered “the best of the best” for this show. 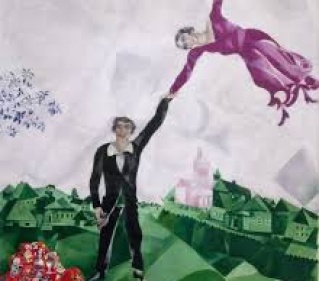 Certainly the mix of art, design and film - of the heroic, the idyllic (Chagall’s self-portrait with soaring wife) and the social-realist - is deeply stirring, as it charts the rollercoaster of euphoria and despair felt by artists (sometimes on behalf of peasants) as the Bolshevik revolution progressed. Portraits remind us of the rich, wider artistic life, often curtailed, of the time. Socialism meets fascism in film of Stalin-era gymnasts. The wrong-headed idealism behind still-powerful images of superhuman workers and soaring, unbuilt Soviet palaces, is very affecting. When’s the last time you walked into a room in an art gallery and smiled at the sheer colour within? 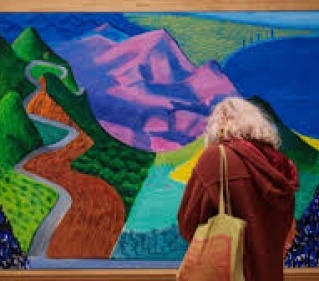 That’s what happened to me at the Tate’s Hockney retrospective. They were American landscapes, all the more vibrant in contrast with 1950s and 60s pencil sketches, pop-political expressions of sexuality, soft pastels, and the deceptively flat portraits and scenes of LA sybaritism we all know (but see much more of here). I grinned again at the last rooms – the slowly sequencing seasonal films of a Yorkshire lane, the hectic vibrancy of iPad paintings scribbled before our very eyes. What joy, zest and vigour in creation, and above all what colours.